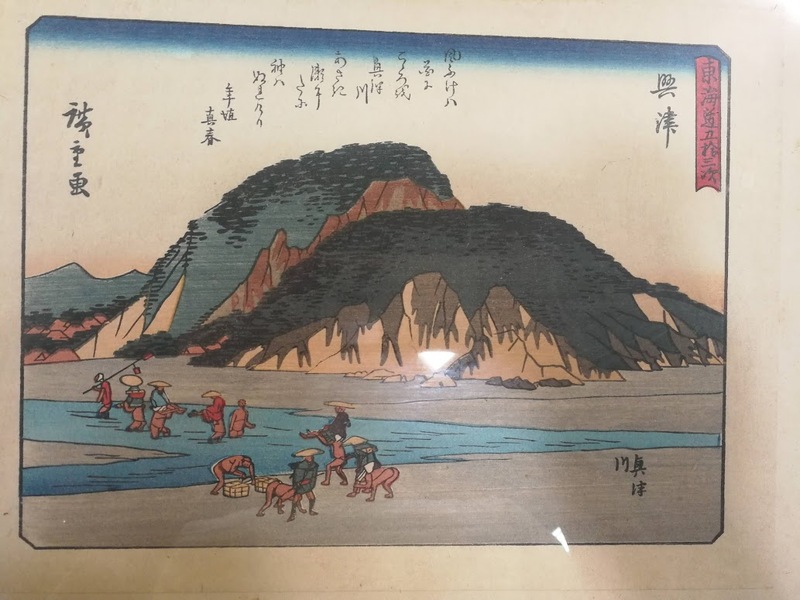 A Hiroshige print Named Okitsu river, It is however slightly different from the one posted on the forums, is it reprint? Subject:Re: Hiroshige woodblock print, fake? Thank you for the identification.